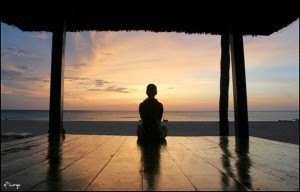 Sitting in silence is a HIGHLY PERSONAL experience, but, it is also a very real one. By now you already know my stand on that word… “meditation”, you know that don’t like it. Here is why. Sitting in Silence, is my preference of words… and when it comes to it, just like with everything that is personal, only you can detect the benefits it brings to you — which I would love to hear about. However, I can tell you of the ones I found… so far… as benefits for me. The patterns that my mind uses to distract me become very clear.